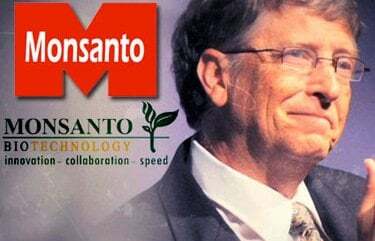 Big Owner of Monsanto Shares: Bill Gates and Population Control? Big Owner of Monsanto Shares: Does Bill Gates Want Population Control? Bill Gates believes the density of the population in poor areas is too big, and with his depopulation plans he can ‘solve’ that problem. Consider his huge buyout of Monsanto stock – he owns millions of shares of Monsanto and Cargill stock, and the Bill and Melinda Gates Foundation keep scooping it up. He owns more than $23 million worth, or 500,000 Monsanto shares. Gates also funds programs that blast men’s reproductive organs with radiation so that they can no longer produce progeny, and covert nanotechnology that delivers dangerous vaccines. The Gates Foundation is also teaming up with the British government in raising $4 billion to fund their birth control agenda worldwide by 2020. Why concentrate on birth control in developing nations? Because then you can control them through controlling their populations. Add this to rampant political maneuvering to try to get the remaining people hooked on GMOs, and you have a docile, sick, dependant country, living only on your pharmaceuticals and fake-food. Fast Company reports that the Gates Foundation has invested $11.9 million in research towards a Virus-Resistant Cassava (GMO) strain for Africa, and a recent Wikileaks cables revealed that the Department of State has virtually become an agency for promoting the private interests of the Monsanto Corporation, which Bill is heavily invested in. Connect the dots. Just connect the dots.